Valentine’s Day is celebrated annually every February 14. It’s a day for doting on your loved ones, cherishing the memories you share, and for celebrating any obstacles you’ve overcome. 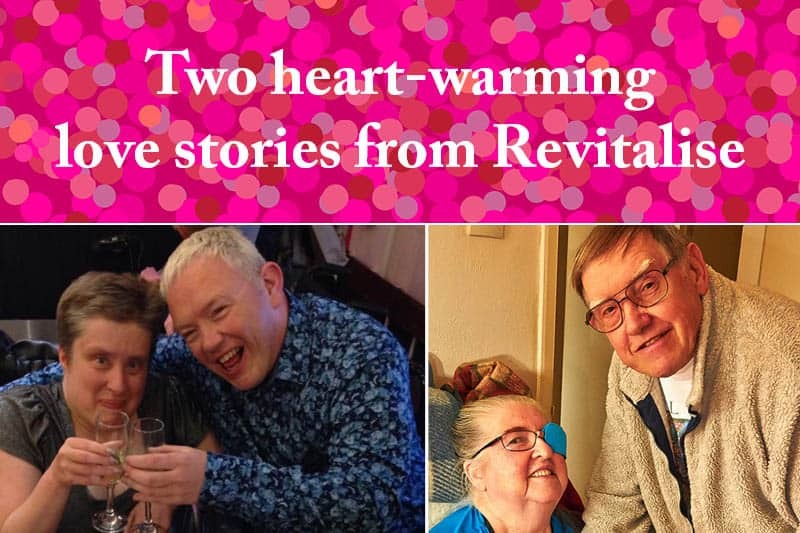 So to honour this special day, we share two heart-warming stories from our guests. Carl Ashcroft and Tracey Stewart first met 15 years ago at Revitalise Sandpipers. They became friends and started to regularly coordinate their visits to the centre, before becoming a couple two and a half years ago. 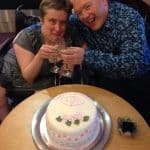 On 12 June 2015, we were delighted to witness a very special occasion as Carl took their relationship to the next level, proposing to Tracey at the place where it all began. The couple don’t have a date for the big day yet as they are going to enjoy a long engagement first. They have already planned several more breaks at Sandpipers though, so we look forward to welcoming them soon as husband and wife-to-be for the first time. “I am very happy”, said Carl to summarise, “so very happy”. “Colin and I met at a dance hall. We used to go dancing a lot as well as cycling. Dad gave us a lovely wedding. That was in May 1960 – three days later I turned 18. We bought our first home in Hull in 1962. Our first son David was born in 1965, then in 1967 John was born. 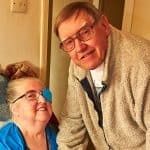 After we moved to Bridlington I started being really ill with MS and Colin had to leave work to look after me full-time. Then Colin started getting things going wrong with him. I noticed him being more forgetful and irrational. About 2002 he got a diagnosis of dementia. He was not himself at all. 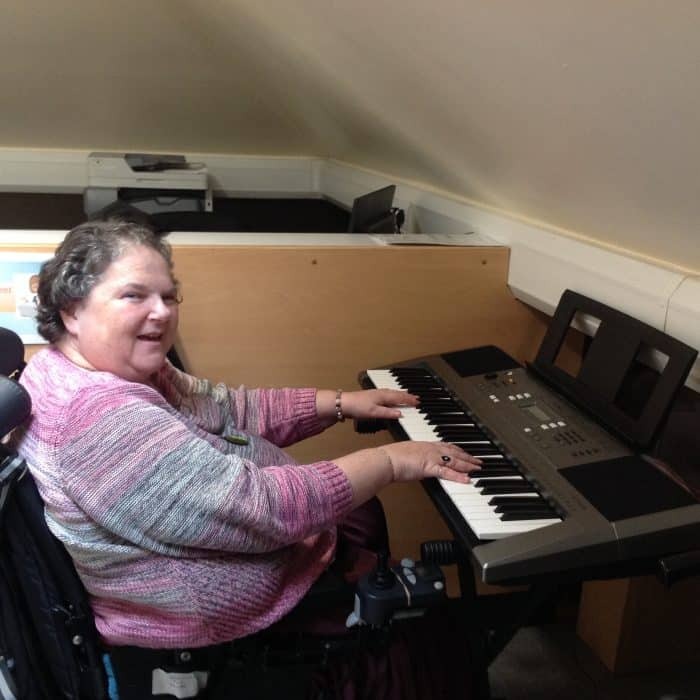 The hospital said that unless I moved to a smaller house near the family Colin would have to go into full-time care. I miss all the things that I did as Colin’s dementia has got worse and you are always wondering how long it will be before you aren’t recognised. It is very frustrating, especially for Colin as he knows what is happening to him. When I saw Revitalise advertised I decided to send for details. We got funding for a week and decided to try it. It wouldn’t have been possible for us without the support we got. We would love to go again. I didn’t know anywhere existed where so much was done to make a break so enjoyable. We made lots of friends there and have kept in touch. At Revitalise Colin had been getting up and talking to people, something he hasn’t done for a long time. That is a change I have seen in him. At home I can never ever leave Colin on his own but because of all the reassurances I actually went on one of the trips without Colin. I was worrying most of the time but had no need to. He had a fabulous time without me there and had lots of laughs. Revitalise got me back to my ‘fun’ side that had been missing but has always been a big part of me. I also learned some more positive things about Colin that I didn’t think possible after all these years. Colin just enjoyed everything and keeps telling people about our stay there – more memories for him to talk about. We look after each other. We have been married 57 years and are best friends, lovers and partners. Revitalise was just the icing on the cake of our life together so far. I enjoyed reading these happy stories. Thank you so much for sharing.